ComeOn Casino was launched in 2008 and is one of the most competitive online gambling portals in Northern Europe. Due to a great overall quality in terms of brand, gambling products and customer focused approach, ComeOn has become a household name for many online gamblers throughout Europe but perhaps especially in the Scandinavian region. Besides a great casino product, ComeOn also offer sports betting and online poker. ComeOn Casino house an interesting blend of different casino games. The main games providers are NetEnt, Microgaming, BetSoft and Playtech but you will also be able to enjoy the great casino games from Yggdrasil Gaming, Play’n GO, and Thunderkick. ComeOn Casino offer a live-dealer casino product which is provided by Evolution Gaming. It is safe to conclude that ComeOn’s casino will suit all player types with this great online casino product. ComeOn Casino is fully accessible on mobile and tablet devices. ComeOn Casino have a great customer support which you can reach by live chat or e-mail. They are usually available every day between 9am to 8pm GMT. The website is available in several different languages including English, Finnish, German, Norwegian, Polish, Spanish and Swedish. ComeOn Casino is owned and operated by Co-Gaming Limited which is a company registered in Malta. They are also operated by Come On Curacao N.V. for the sports betting and online poker products. ComeOn is licensed by the Malta Gaming Authority (MGA), the Government of Curacao and the UK Gambling Commission. This means that players residing in the UK are using the gambling service licensed by the UK Gambling Commission. 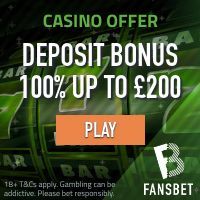 ComeOn Casino No Deposit Offers! ComeOn Casino offer No Deposit Bonuses for new and eligible players located in the UK, Germany and Sweden. Check here below and find out the details. All you have to do if you’re eligible for the free sign up bonuses is to click on the link and register your account with ComeOn Casino and your No Deposit Bonus will be added to your account automatically! If you are a resident of Great Britain you will be able to get 20 No Deposit Casino Spins in Starburst + a first deposit bonus of 100% up to £25 at ComeOn Casino. The minimum deposit to qualify for the deposit match bonus is £10. The wagering requirement is 35 times your total casino balance (deposit amount + bonus amount). If you use this welcome offer for sports betting, the wagering requirement is 8 times your total betting balance. Please note that if you deposit with Moneybookers/Skrill, Neteller, Paysafecard, Webmoney or Ukash you are not eligible for this welcome bonus. Click here to read the terms and conditions! Click here and join ComeOn Casino and get your 20 No Deposit Spins in Starburst! Players residing in Germany: Choose your First Deposit Bonus (2 options)! German based players will be able to choose their first deposit bonus. When you make your first deposit you have to options to choose from; deposit €10 and play with €50 (that’s a 400% deposit match!) or get a 100% deposit match up to €100! The minimum deposit is €10 for the first option and €100 for the 100% match offer. Click here and join ComeOn Casino! Players located in Sweden: Get 10 No Deposit Spins in Starburst and Choose your First Deposit Bonus (2 options)! New and eligible players residing in Sweden will get 10 No Deposit Spins in Starburst immediately upon a successful account registration. When you make make your first deposit, you will have two different bonus options to choose from; deposit 100 SEK and play with 500 SEK (bonus can be used in Casino or Sports book) or get a 100% first deposit bonus up to 3000 SEK (this bonus can only be used in the Casino). Click here and sign up your account with ComeOn Casino! ComeOn Casino Welcome Bonus for residents elsewhere: Get 100% up to €300 on Sports & Casino! Players residing in other eligible countries will be able to claim a deposit match bonus of 100% up to €300. The minimum deposit to qualify for the deposit match bonus is €10/100sek/20AUD/20NZD/100NOK/40PLN/15CAD. If you choose to use this bonus for play in the casino then the wagering requirement is 35 times your total casino balance (deposit amount + bonus amount). If you use your bonus for sports betting, the wagering requirement will be 8 times your total sports balance. Click here and visit ComeOn Casino! ComeOn Casino offer a completely safe and secure payment environment so there is no reason to be worried when you make your deposit or withdraw your winnings. They accept all major deposit methods including debit/credit cards, e-wallets such as Neteller and Moneybookers Skrill and several regional direct bank transfer solutions. This casino have an impressive amount of online casino games for you to enjoy. With several hundreds of the latest and most popular video slots for the best games providers on the planet, ComeOn Casino will definitely be an exciting place for anyone that loves the thrills of online gambling. Some of the most popular online slot machines at ComeOn Casino are Jack and the Beanstalk, Dead or Alive, Avalon II, Secret of the Stones, Ghost Pirates and Guns N’ Roses. You can also enjoy the highest ever paid out jackpot slots like Mega Moolah and Mega Fortune.